As we continue through our day-to-day routines here on the west coast, I ask that you take a moment of silence for all those who have been hit by these sad and traumatic events this past week. It’s depressing that we live in a society where people want to harm others for the sake of causing pain, fear and disarray. But always remember, where there is destruction, there are also helping hands. The Patriots football organization has set up a foundation to help the victims in the Boston Marathon Bombing. Click here for the link to the site. Boston. 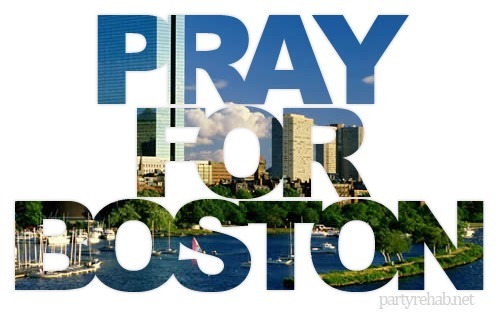 Our prayers, feelings, and hearts are with you. Stand strong.